If you want to take home a gastronomic product from Ferrolterra, here you will find good ideas and a list of markets and gourmet stores in Ferrol.You can choose from a wide variety of sausages and cheeses from Galicia and the region, honey from the area, canned fish, molluscs and even vegetables from the countryside and Galician algae, which is gaining in popularity every day.You will also find Galician spirits and wine presented in convenient gift boxes as well as the Castiñeira Cake, typical of the city. It is packaged and does not pose any conservation problems for the trip (you must, of course, book it with some day of advance). 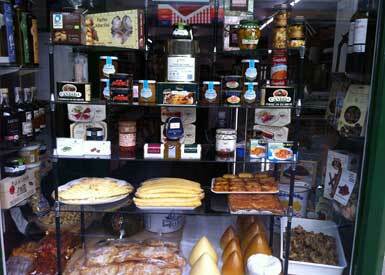 Other recommended sweets are cocadas and Ferrol’s chocolate bars, available in all confectioneries. Also, either for your own use or as a gift, it is always a good option to acquire a Galician cookbook or some typical Galician tableware: wooden dishes for octupus, cups (cuncas) and wine jugs, “viradeiras “objects made of wood or clay to turn the “tortilla” (Spanish omelette) or the traditional ceramic set to make “queimada”, a Galician liqueur. And we cannot forget the famous crockery of Sargadelos. Located on Iglesia Street, it is one of the most visited places in the city. 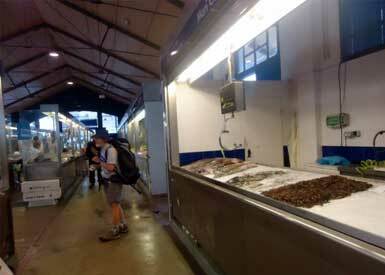 The well-deserved fame of the cuisine of Ferrol and of all Galicia makes gastronomic purchases essential. Here are some suggestions.